Post high school readiness is a very important attribute for all learners. 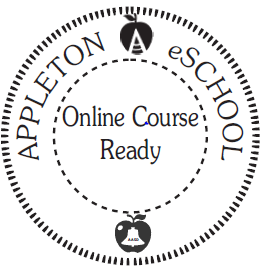 Beginning with the 2016-2017 school year, the Appleton eSchool was proud to announce the “Online Course Ready Badge” for our students! Many skills are important components to being college, workplace and life ready. However, there is a growing demand for our students to be ready for continuous learning via online channels. Not only do we need to be sure our students are ready to meet that demand, but we need to be able to help students surface these ‘value add’ core attributes for their future success. The Online Course Ready badge is an easily identifiable credential visible on the official student transcript. Starting with the 2016-2017 school year, this badge alerts educators and employers that the student has a proven level of online learning success after completing their high school school experience in the Appleton Area School District. This badge will assist with recognizing and identifying the powerful attributes that come with a successful student; therefore, understanding how these attributes translate into the workplace, college and life success. Read more about our process in an article (published 12/05/2016). In the fall of 2015 at a major Wisconsin University over 8,000 students were taking an online course as part of their campus experience? Throughout the US, over 28% of all post-secondary students were enrolled in at least one online education course. Business environments conduct employee training via online learning training systems? Post secondary learning institutions (2 and 4 year) offer degree programs that are sometimes only offered almost exclusively online or with limited face to face meetings? 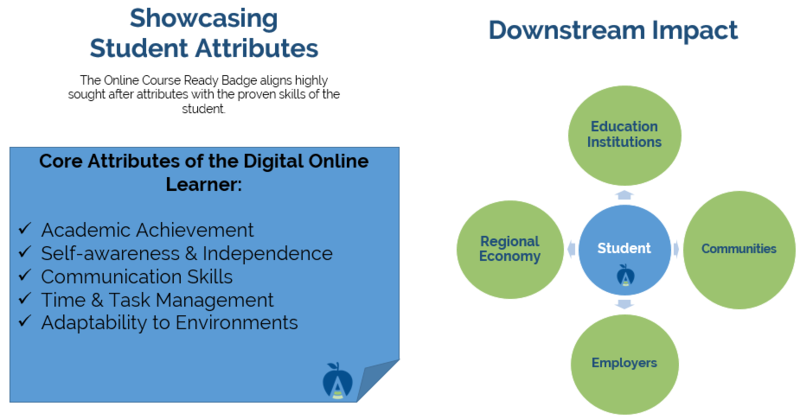 How do students earn the Online Course Ready badge? -Complete at least one online course successfully with a grade of B or better. -Student must also be in good standing in regards to the eSchool academic integrity policy.